By using ComStore's data, Business Insider calculated the top 20 websites on the global. Unless you have not heard of the ranking, it's time to refresh your memory now because there're several Chinese websites in the list. Surprised? Just read below. 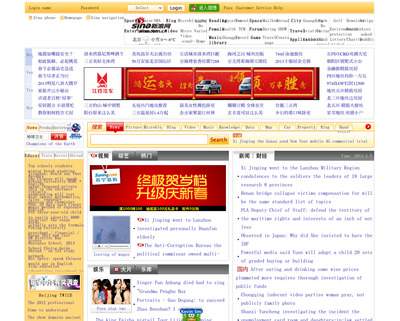 How it got so big: In the early 2000s, Sina was known as the "Yahoo of China." Sina launched microblogging service Weibo in 2009, and has grown to more than 400 million users. 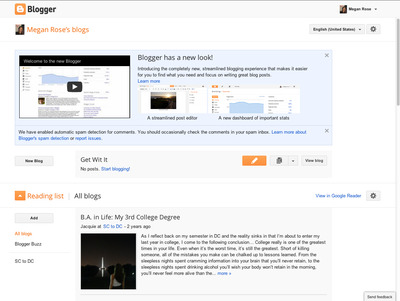 What it is: Blogging platform. How it got so big: WordPress has been able to attract users by offering dead-simple tools for blogging and web publishing. Given that it's open source, WordPress has the upper hand on other platforms that require licensing fees. Back in 2004, when Movable Type changed its license, a lot of people left for WordPress. 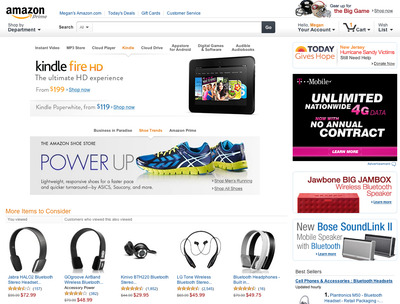 What it is: Online destination for Apple products and software. 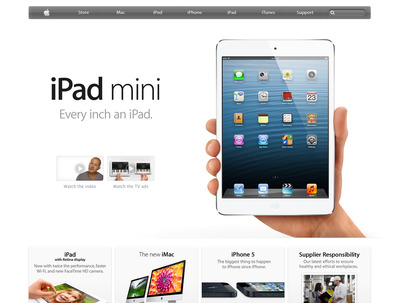 How it got so big: Apple.com is the domain for the Apple Store as well as customer support pages for all Apple products. It's bookmarked as the default homepage on Safari browsers, which are the default browsers in all Apple Internet-connected products – of which there are hundreds of millions. What it is: Chinese portal and search engine. 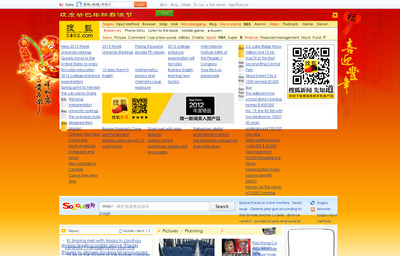 How it got so big: Sohu started in 1997 as the country's first online search company. It has since grown to become a massive portal that points to other properties like its games portal and real estate website. 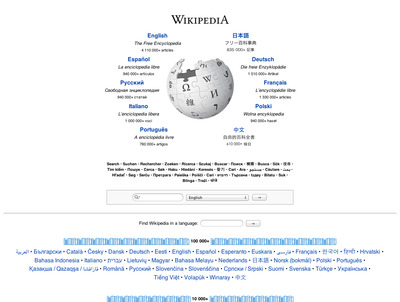 What it is: Web search engine. 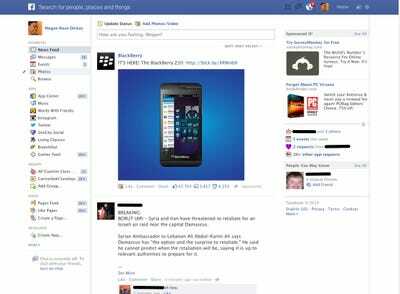 How it got so big: Microsoft has aggressively advertised Bing, and made huge efforts to make the search engine much easier to use, with the addition of things like the social sidebar and improved algorithms. 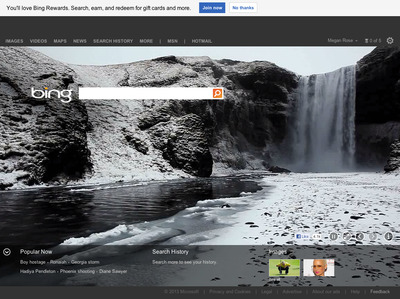 Microsoft also pays other Websites to link to Bing. What it is: Real-time communications platform. 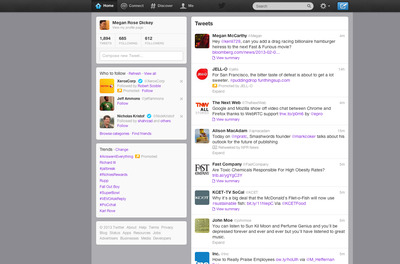 How it got so big: Since launching in 2009, Twitter has become a go-to site for staying up to date with what's happening all over the world. The presence of news organizations, politicians, and other industry-specific experts have turned Twitter into the ultimate source of information. What it is: Chinese marketplace for clothing, accessories, jewelry, food, electronics, and more. 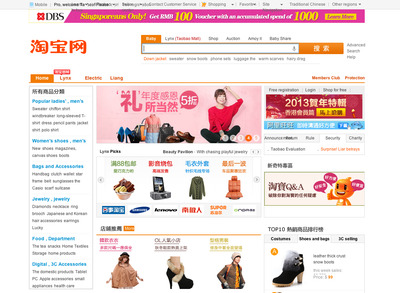 How it got so big: Similar to eBay and Amazon, Taobao is one of the largest online marketplaces in the world. In 2003, Alibaba, the company that owns Taoboa, launched it to the public without any fees required to create a listing on the site, which helped transform the giant into a huge shopping search engine. What it is: A Google-powered search engine. 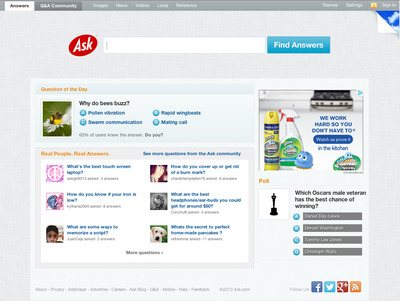 How it got so big: Ask.com started as AskJeeves back in the 1990s. When its parent company, IAC, acquired About.com, Ask was able to add much more content to its site. 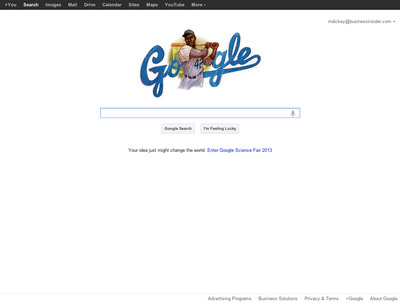 It's now basically a re-branded version of Google search. How it got so big: Blogger started off as a very tiny company in San Francisco. It struggled during the dotcom bust, but Google helped save the company when it acquired it in 2002. What it is: A collection of Microsoft-owned Internet properties. 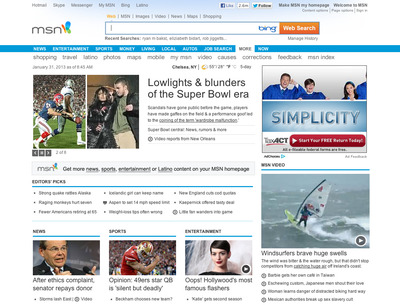 How it got so big: MSN has grown from an ISP to an online destination with web-based services like Hotmail and MSN Messenger. It's a portal. What it is: Chinese search engine for websites, audio, and images. 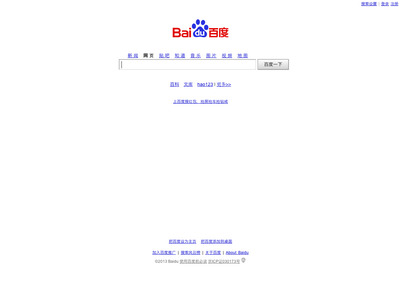 How it got so big: Baidu is one of China's most popular search engines. It employs thousands of China's best engineers to continually update the quality and speed of its search engine. 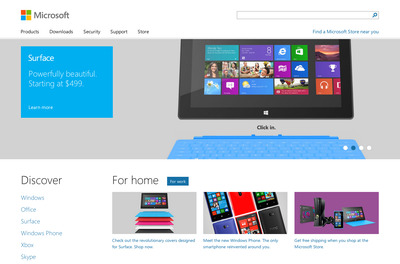 What it is: Destination for purchasing Microsoft products, and downloading MS software and updates. How it got so big: There are a lot of Microsoft Windows-powered computers out there, and most of them come with Microsoft.com bookmarked for customer support and lots of other functions. 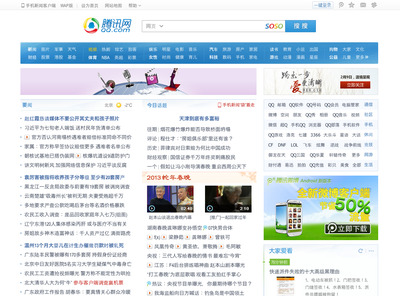 What it is: China-based search engine and portal. How it got so big: The company behind QQ.com, Tencent, has created China's most dominant instant messaging service. The IM client boasts more than 700 million active users, which has fueled growth in the company's other products including Qzone and the Tencent Weibo blog. What it is: Microsoft's new email service. How it got so big: Microsoft made both of its email services, Outlook and Hotmail, accessible through Live.com. 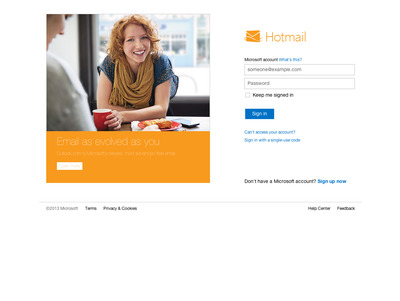 If you go to Hotmail.com, you are redirected to Live.com. Same for Outlook.com. What it is: A free, web-based encyclopedia platform. How it got so big: Wikipedia lets anyone post and edit content on the site, making it a great resource for educational content. Like Answers.com et al, most of its traffic comes from Google because it answers the questions people ask Google. 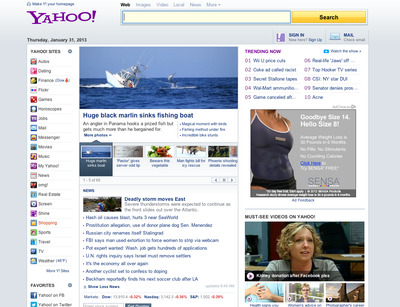 What it is: Search engine and platform that connects to users to other Yahoo properties, such as Yahoo Finance and Flickr. How it got so big: Yahoo is one of the original Web portals from the 1990s. People go there for news, sports, finance, and email. 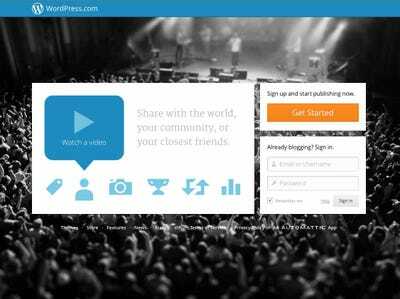 What it is: Platform for uploading, sharing, and watching user-created videos. 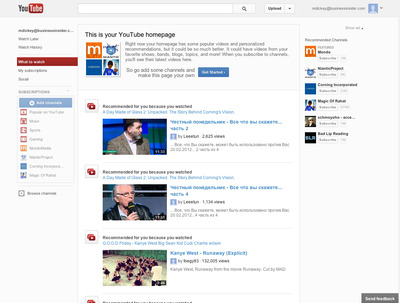 How it got so big: Google's purchase of YouTube in 2006 definitely gave the site more street cred. Since then, people have been hooked on watching cat videos and using the site to discover new artists like Justin Bieber, for example. How it got so big: Google entered a crowded search engine market in the late 1990s, but won because it was the fastest and had a clean design. Now it powers all kinds of products, like Gmail, Google Maps, and Google+. It's the way people navigate the Internet. What it is: Social network to keep in touch with your friends. How it got so big: Facebook CEO Mark Zuckerberg started Facebook when he was a sophomore at Harvard. The site was initially only open to Harvard students, but later expanded to include other universities, high school students, and eventually, anyone over the age of 13.